The Rock Your Baby® Hokey Pokey Short Sleeve Waisted Dress is sure to put a little spring in her step. 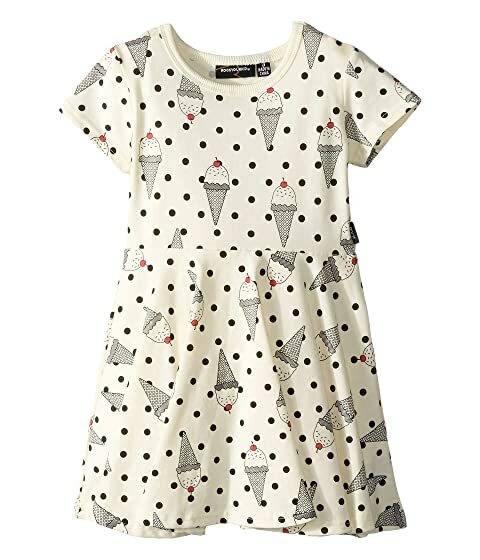 Soft cotton-jersey skater dress featuring an adorable polka dot and ice cream cone print throughout. We can't currently find any similar items for the Hokey Pokey Short Sleeve Waisted Dress (Toddler/Little Kids/Big Kids) by Rock Your Baby. Sorry!